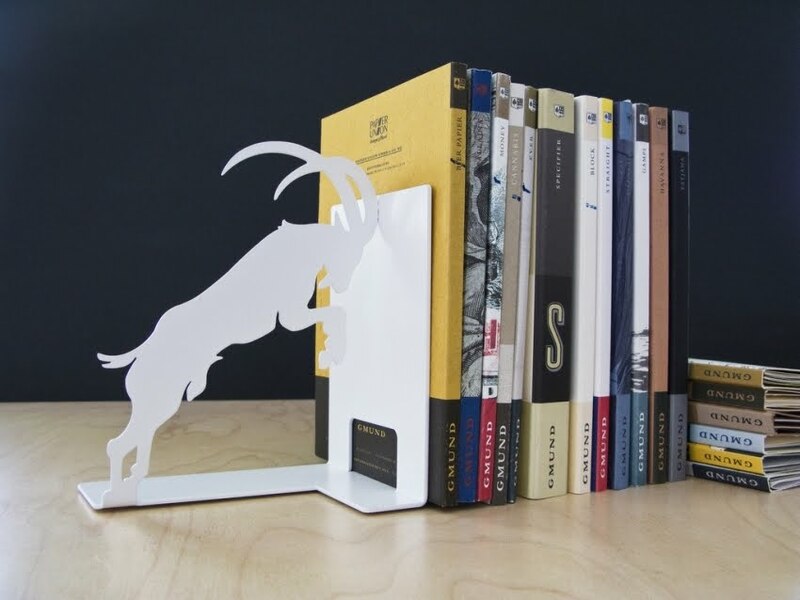 Collection of 'Unusual and Modern Bookends Design' from all over the world. 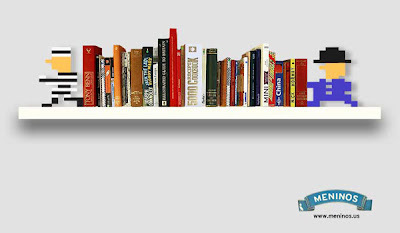 8 Bit Bookends: These cool 8 bit bookends are by Meninos. 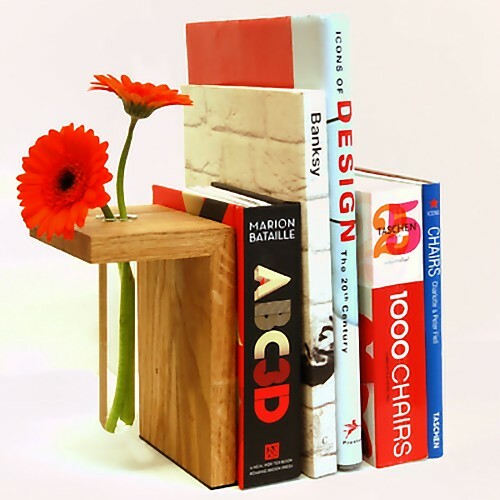 Oak Vase Bookend: This is handmade from solid oiled oak with a glass vase and is perfect for your bookshelf and also keeps your books vertical. 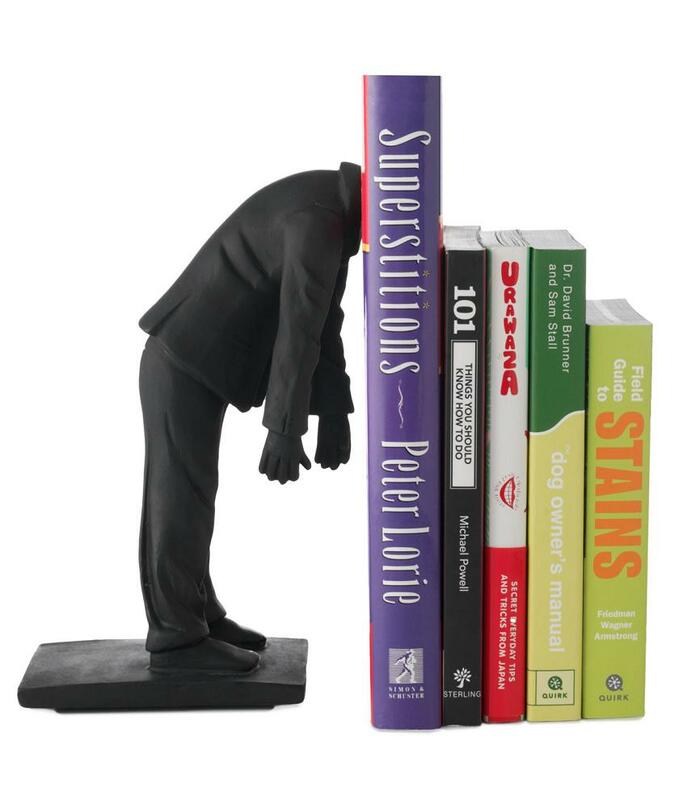 Bookends by Southcott: Designed by Southcott, these bookends are sturdy enough to hold the heaviest of hardbacks. 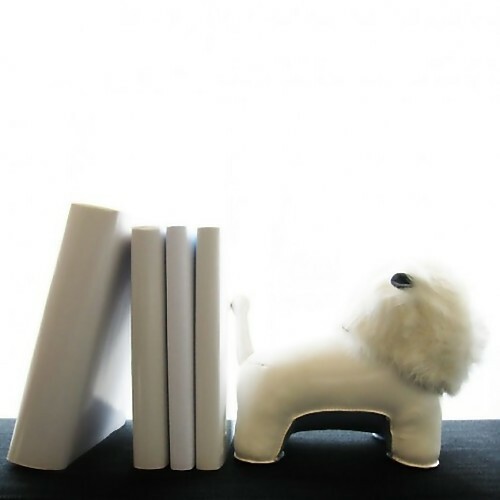 Zuny Animal Bookend: Cute leather animal bookend in the shape of a white lion can be used to hold most heavy items or act as a bookend, CD/DVD stand, or even as a door stopper. 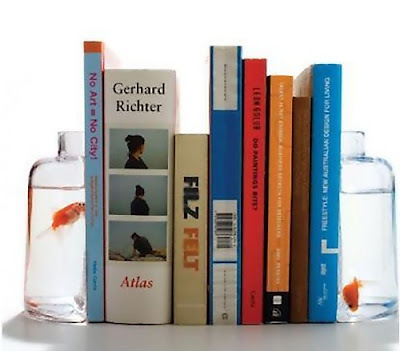 Halve Bookends: These are two decorative glass jar bookends that can be used as a fishbowl or as a flower vase or just fill them with your favorite treat. 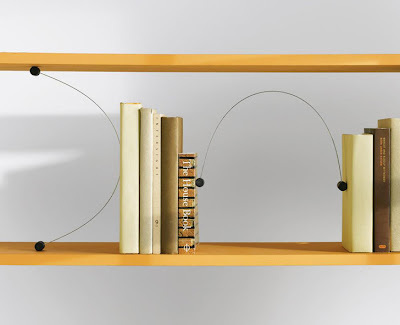 Holly Shelf Bracket: This cool shelf bracket also doubles as a bookend. 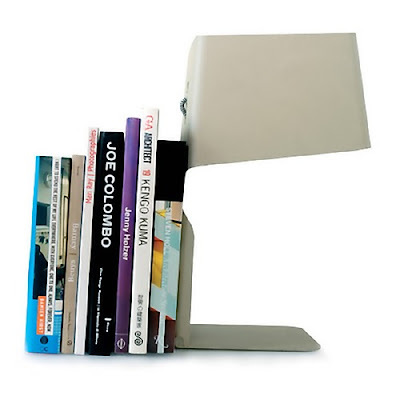 Leti Table Lamp: Designed by Matteo Ragni, it's a desk lamp and a bookend all in one. U Bend: This creative design allows you to use a book as a bookend. 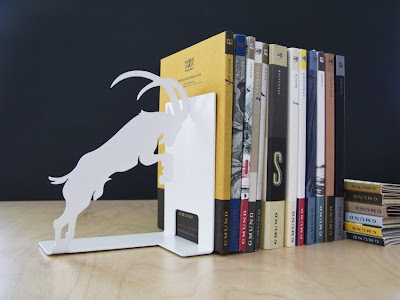 Botella Bookends: An unusual bookend design by Alan Wisniewski. 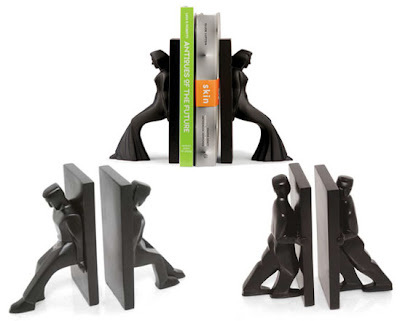 Bookends by Collicott: Keep your book collection in order with these set of bookends, designed by Collicott. 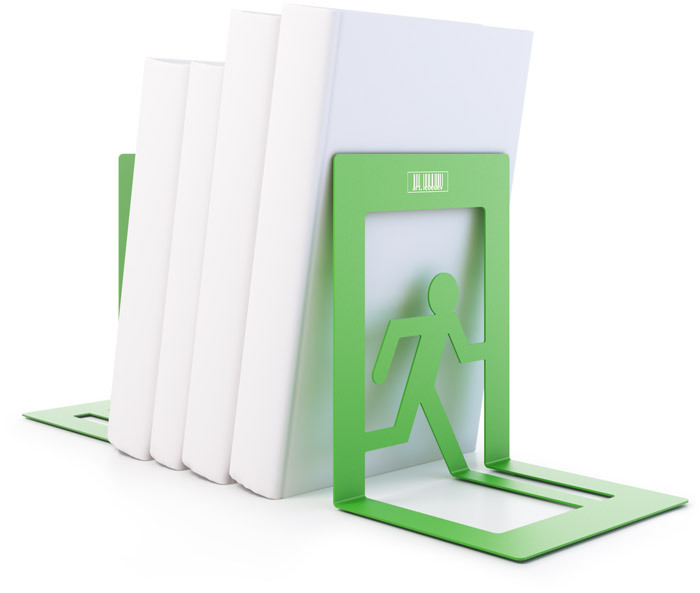 Exit Bookends: These creative design concept bookends are like green exit signs that seem to be just about everywhere. 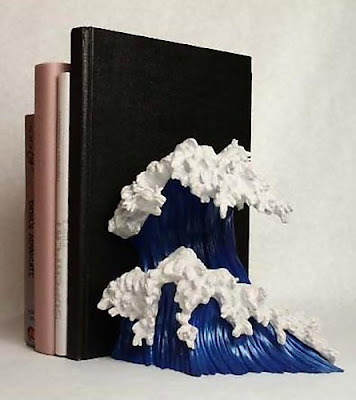 Wave Bookend: An unusual bookend design inspired by the famous print by Kozyndan. 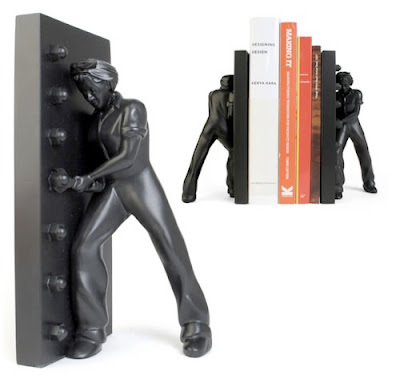 Rosie The Riveter Bookends: These classy Rosie The Riveter bookends are designed by Collicott. Don't miss to check out "Unusual and Modern Bookends Design - Part: 1| 2| 3." 20 Cool and Useful Kitchen Tools. 11 Creative and Cool Bean Bag Designs. 12 Creative And Modern Mirror Designs - Part 2. 15 Creative Soaps and Unusual Soap Designs - Part 3. 12 Creative and Cool Plush Transforming Pillows - Part 6. 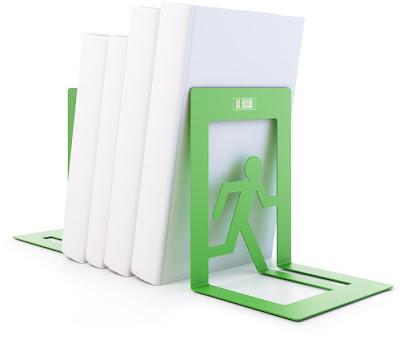 15 Creative and Unusual Doorstops - Part 2. 15 Unique Bottle Openers - Part 4. 15 Unique Lamps and cool Light Designs - Part 6. 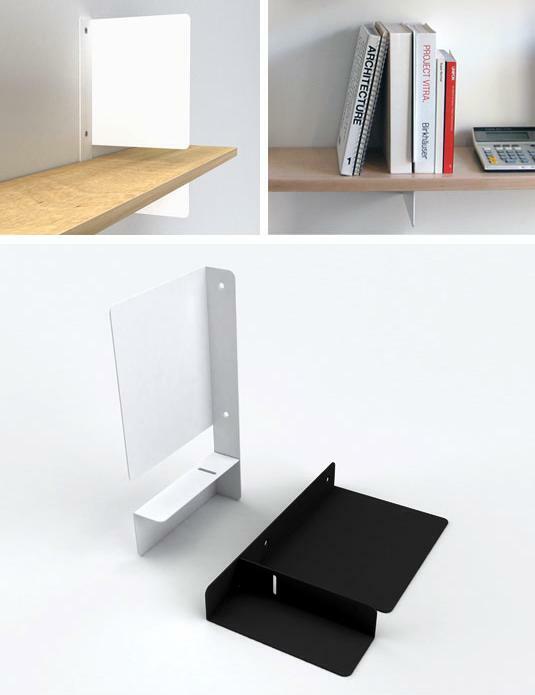 20 Cool and Useful Kitchen Gadgets - Part 7. 15 Cool and Unique Necklaces - Part 2. 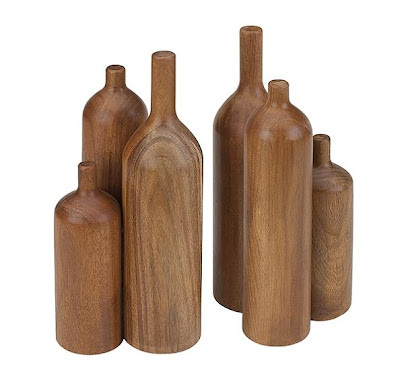 15 Creative Wooden Gadgets and Designs. 15 Cool and Creative Watering Cans. 15 Unique and Amazing Bicycles - Part 2. 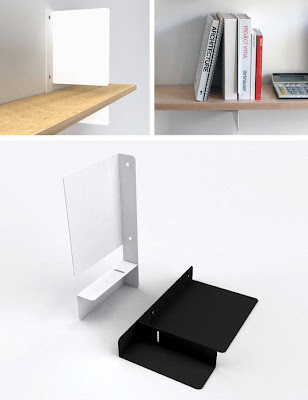 20 Most Useful Kitchen Gadgets - Part 6. Cool and Creative Pancake Moulds. 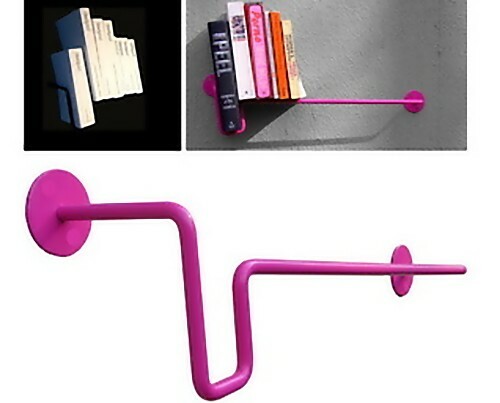 18 Unusual Twitter Inspired Products - Part 2. 20 Creative and Unusual Chess Sets. 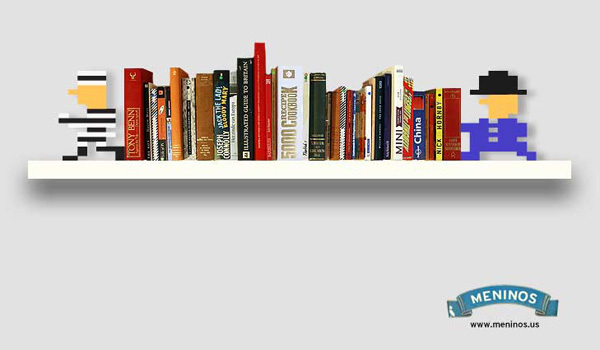 20 Cool and Creative Mousepads.